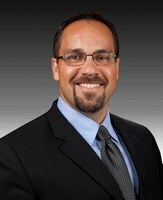 We want to congratulate alumnus Todd Misener, PhD, on being named the Chief Wellness Officer at Oklahoma State University (OSU). After completing his dissertation, which was chaired by Dr. Richard Wilson, Todd earned his PhD in Public Health Sciences with a specialization in Health Promotion from SPHIS in 2014. Prior to beginning his journey at SPHIS, he was an Assistant Director for Health & Fitness at Western Kentucky University (WKU) and also worked as an adjunct faculty member in WKU’s College of Health & Human Services. He became interested in the area of worksite wellness during his time at WKU. His role was to promote health and fitness to students; however, he observed that faculty and staff oftentimes showed an interest in the programming as well. When he discovered WKU did not have a workplace wellness program, he wanted to change that. So he decided to pursue his doctoral degree in order to advance his career and prepare himself to take on more prominent leadership roles in health promotion in higher education. Todd began his role at OSU in August 2016. He said he was intrigued by the progressive nature of the position and university as it relates to health wellness and promotion as well as the commitment of the university’s president and administration. His new role includes serving as the director of the Department of Wellness, which includes: campus recreation, student health promotion, employee wellness, and the office of sponsored programs. He also serves as the Chief Wellness Officer for the OSU system, which encompasses the Stillwater campus, 4 branch campuses, 4 A&M campuses, and 72 extension offices. In this role, he provides leadership and vision to aid employee and student wellness efforts for the entire OSU system. You can connect with Todd on Linkedin.